This health and fitness dumbbell set will be a great addition to your home gym. This set of weights will enable you to keep your body strong by allowing you to perform a variety of muscle building exercises. It's designed to develop your leg, hip and back power. 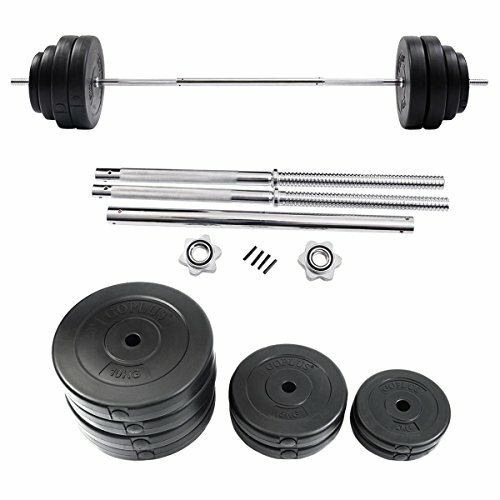 The changeable barbell weight is designed to meet various exercising in different levels. You could set weight easily and make an effective home fitness program. The threaded linear handles are skid proofed for holding up steadily. With the dumbbell set, you could do you gym any time you want. Don't hesitate to buy it!